Some of the world’s most beautiful works of art consist of nothing but light. Their creator is James Turrell. A pilot and aerial cartographer, trained in psychology and math, Turrell pioneered the use of light as a medium for art in the mid-1960s. His perfectly constructed installations make light so immediately present that it seems as if viewers can grasp it in their hands. Meanwhile, the boundaries of space itself appear to dissolve. The American artist invites visitors to step into sheer light and brings their senses to life, sparking an exhilarating individual experience. 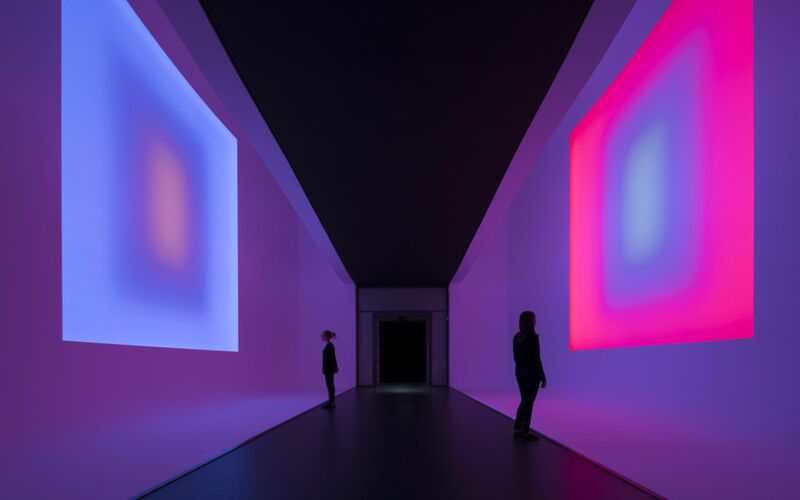 At the Kunsthalle Mannheim, Turrell has transformed the two-story passageway between the Hector building and the art nouveau building (measuring twelve meters long and eight meters high) into a powerful sphere of light. A stream of color spectra in blue, yellow, green, orange, red, and violet spans the space. 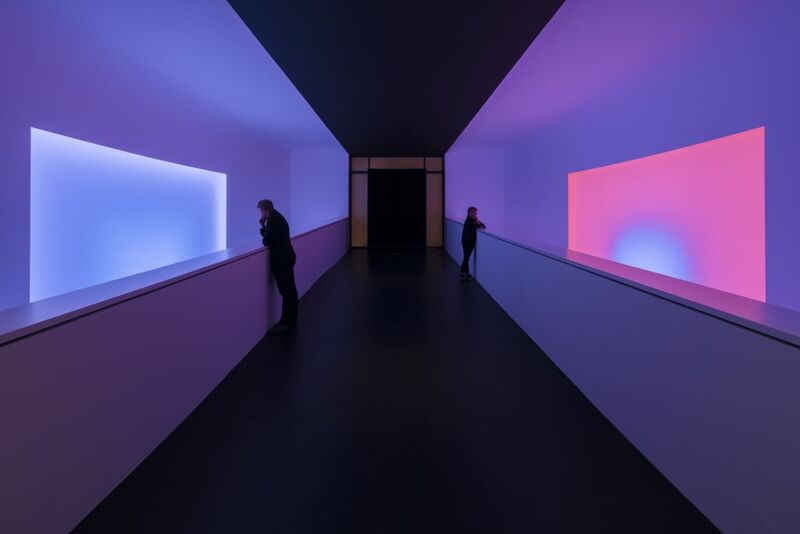 Transparent screens inset into room-sized openings within the symmetrically curved walls on both sides of the passageway emanate a diffuse, computer-controlled colored light that surrounds viewers. 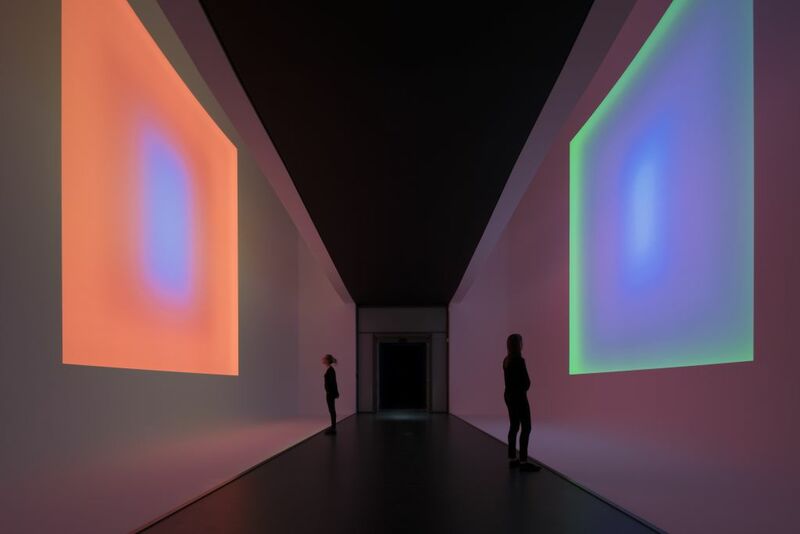 Turrell complements and contrasts the flawless, velvety surfaces of the symmetrical space with his complementary play of light. On every wall, eighty different color compositions gradually merge into one another, revealing new nuances. The harmonized lights are seamlessly reflected and condensed into a unique and meditative atmosphere where the room’s edges disappear. Viewers are enveloped in light, color, and silence, and the limits of their perception are extended. This intense physical and psychological experience also broadens the horizons of the museum itself. 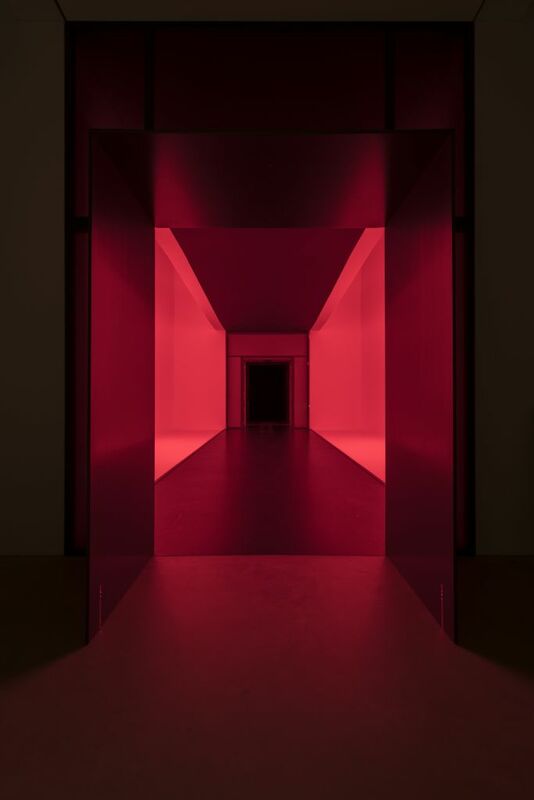 The light passageway is at the Kunsthalle Mannheim’s core, melding two visions of architecture and two kinds of museum. The piece is one of his largest architectural works in Europe. 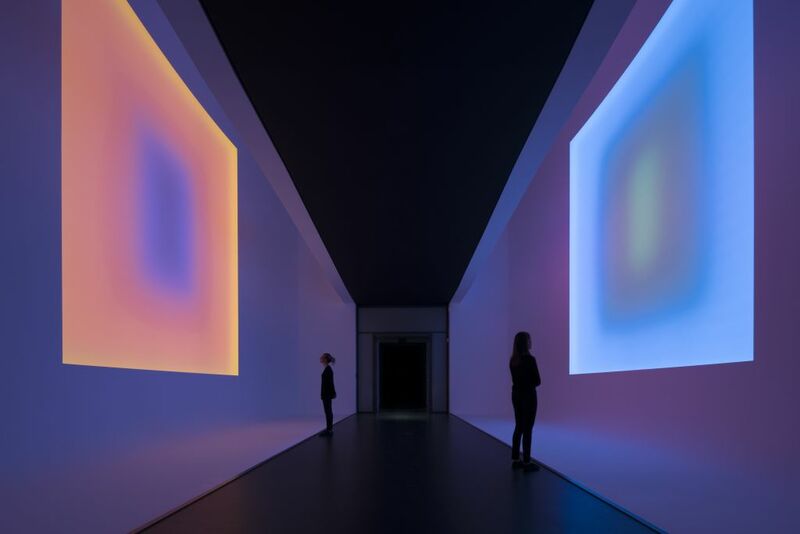 Turrell’s pioneering role as an artist can be experienced in a meditative journey of discovery through space and time, where a physically palpable light with no discernible source is set in motion. Light becomes concrete.